Hola! In this edition of the Berklee Valencia blog, I will be discussing more of the culture and what it is like for a foreigner to live in Spain as well as the interesting courses we are taking. Not only do we study music here, but also we have the opportunity to improve our Spanish skills. Even though I came in knowing a lot of Spanish, I was not able to fully converse with confidence. Now that I have been here for a month and a half, my speaking skills have improved greatly. I feel like I have a better understanding of the Spanish that is spoken in Spain. 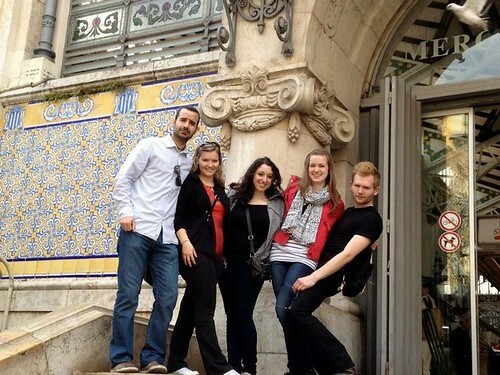 I have also made friends with some of the students at the local universities here in Valencia. All of them are studying topics unrelated to music or the arts, so it has been nice to have fun conversations with them that don’t relate to music! Most of the students I have met are Spanish and grew up learning English in school. I have found that when I start speaking Spanish to them, they want to speak English to me! They do not meet many students who have English as their first language, so they want to practice as much as possible. This has made for some interesting conversations! Speaking of new friends, the Global Studies students and I have met some Spaniards who live in the same dorm, Damia Bonet, which is located about 15 minutes by bus and 30 minutes walking distance from the Berklee Valencia campus. Each of us has our own room, a kitchenette, a bathroom, and bright green walls (that was something we had to get used to!). The living accommodations are very new and comfortable. There is also a gym we can use 24/7, security, a cafeteria, study lounges, and a TV room. In my hometown, I am used to taking a car everywhere, but like Boston, here in Valencia we use the public transportation most regularly. My first day taking the bus, I didn’t realize that you have to hit the “red button” to make the sliding-doors open when you reach your stop. I assumed this button was for emergencies, so when it came time for my stop, I was confused as to why the door didn’t open automatically. So the bus goes driving to the next stop about half a mile away, and the sliding-doors do not open! Finally, I noticed a woman hit the “red-button” for the next stop, which made me realize that maybe it IS to open the sliding-doors. Let’s just say I learned my lesson, and now I know the “red-button” is my amigo. In Spain it is very common to not refrigerate your milk, so when I went to look for milk in the dairy section, there was none to be found! 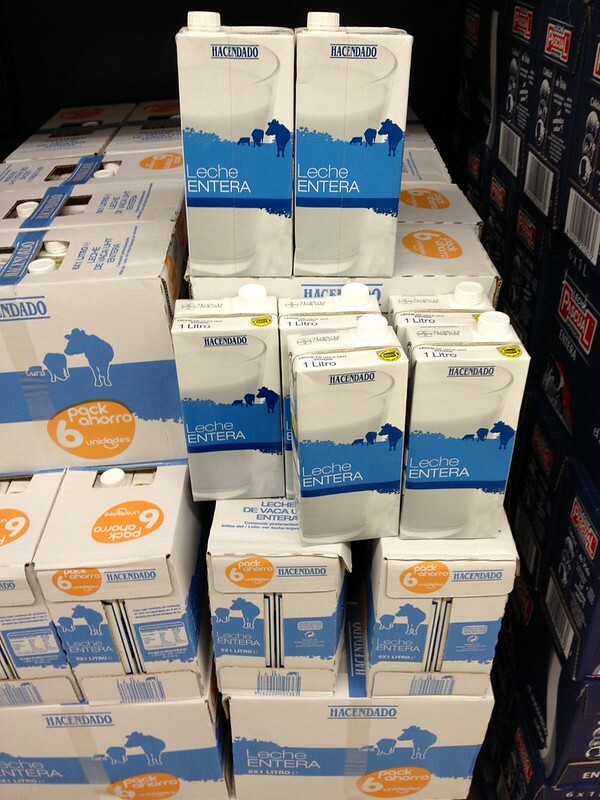 On the next aisle, however, there were stacks of milk cartons contained at room temperature. I was skeptical at first, but if a whole country abides by this, I’m in, and I haven’t gotten sick yet! One of the classes I am taking and very much enjoy is the International Music Business Seminar, a 4 unit class where we discuss the industry in a global perspective. We are in the process of doing a research project based on something related to the business of music. I am also taking Legal Aspects of the Music Industry, in which industry professionals versed in the legal aspect of music, discuss with us as an artist, our rights as a performer, how to sell our music in a profitable manner, working with record labels, and the contracts and details that go along with this profession. We have learned a lot about the differences between the music industry laws in the United States and countries in the EU. Check out my next blog where I’ll be talking about the Fallas festival, a cultural celebration in Valencia where people dress up, light firecrackers and have loads of fun in the city!